Today, I'm reviewing the classic family movie, Anne of Green Gables, starring Anne Shirley as a spunky redheaded orphan from Prince Edward Island. This article is part of O Canada, the Great White North Blogathon hosted by Speakeasy and Silver Screenings. Our neighbors to the North have given the world ice hockey, maple syrup, and Mary Pickford (America's Sweetheart was born in Toronto), but one of Canada's best gifts to popular culture is the character of Anne Shirley, a spunky, redheaded orphan from Prince Edward Island who has become an iconic role model for girls around the world. Lucy Maud Montgomery's best-selling novels about Anne have been made into many films and TV shows, including a delightful 1934 Hollywood movie that I'm reviewing today. Anne of Green Gables follows Anne Shirley, a 14-year-old orphan who is adopted by mistake by an elderly brother and sister, Matthew and Marilla Cuthbert (O.P. Heggie and Helen Westley). The Cuthbert's wanted a boy to help them out on their farm, but eventually they grow fond of Anne and decide to keep her. The movie then follows Anne as she grows up in the small community of Avonlea from a gawky girl to a polished young woman. Anne of Green Gables was the creation of Prince Edward Island native Lucy Maud Montgomery. She was raised by her grandparents on a farm outside Cavendish -- her father left her in their care after Montgomery's mother died of tuberculosis -- where she always dreamed of becoming a writer. For a time, Montgomery worked as a schoolteacher and attended college, but it wasn't until she became the caretaker for her elderly grandmother that Montgomery found the time to write. She published Anne of Green Gables, which was partially based on her childhood in Cavendish, in 1908. It became a massive bestseller and inspired seven more Anne books. 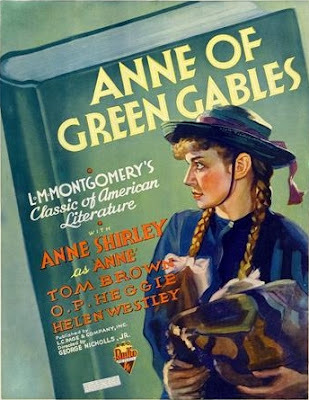 By the time RKO Pictures made Anne of Green Gables, there had already been an unsuccessful silent version of the novel. It was directed by William Desmond Taylor and Anne was played by the notorious child star Mary Miles Minter, who would later become a tabloid staple after she and her mother were somewhat implicated in Taylor's bizarre murder (you can read all about it here). After the success of Little Women (1933), RKO Pictures decided to adapt another children's classic for its 1934 Thanksgiving release. 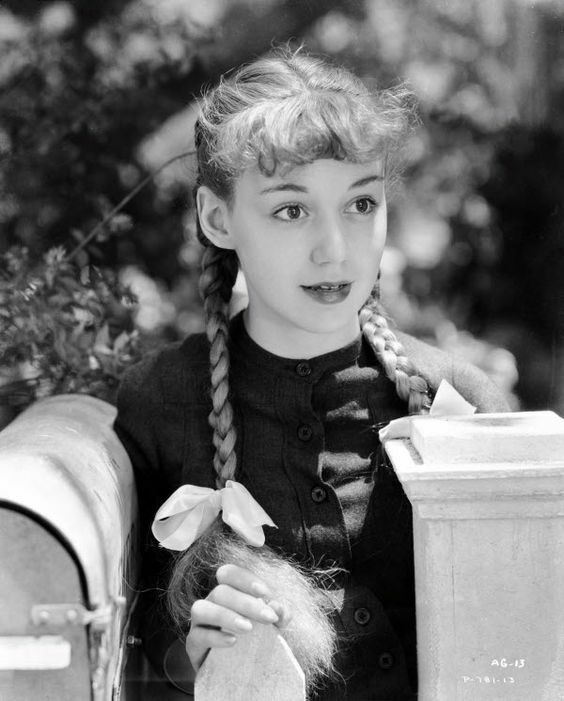 The movie was a huge success, and actress Dawn O'Day, who played Anne, even permanently changed her stage name to Anne Shirley, so she would be more closely linked with the title character (she would play Anne once more in a 1940 sequel, Anne of Windy Poplars). The 1934 film lacks the beautiful Prince Edward Island locations and in-depth storytelling of the 1985 TV movie, but it is still a delightful family film. Shirley, who was 16 at the time of filming, was just the right age to play Anne as both a gawky young girl and stylish young woman, but the standouts in this movie are Heggie and Westley as Matthew and Marilla. These two-seasoned character actors give touching performances: Heggie, who is probably best known for playing the blind hermit in The Bride of Frankenstein (1935), captures Matthew's shy charm, while Westley's hard-bitten exterior and sharp tongue hide her deep love for Anne. I always enjoy this scene (clip below) where Matthew and Marilla share their pride in Anne. Finally, Anne of Green Gables is a great film for young people. Like Jo March in Little Women, Anne is intelligent, ambitious, and career-minded. She's also not afraid to speak her mind, whether she's telling off the gossipy Mrs. Barry (Sara Haden) or making sure that everyone spells her name with an "e" (clip below). Even though the film does play up the romance between Anne and Gilbert Blythe (Tom Brown), it isn't detrimental to Anne's independence or her to character. Today, Anne of Green Gables is as popular as ever. The Green Gables House in Cavendish is a popular tourist attraction, and fans from around the world get selfies taken with actors dressed up as Anne. Anne of Green Gables is available on DVD. 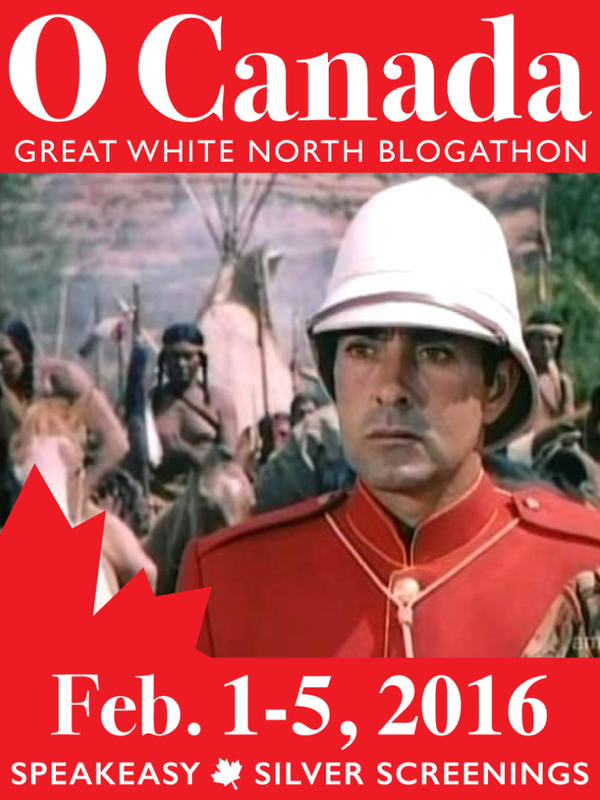 Your post is a wonderful tribute to Anne of Green Gables and her enduring appeal. (I didn't realize Dawn O'Day changed her name to Anne Shirley due to Anne of Green Gables!) I'm also glad you focused on Anne's intelligence and independence – no wonder girls all over the world love her! Thanks for hosting. I really enjoyed writing about Anne. RKO cast this film version of "Anne" impeccably. O.P. Heggie totally breaks my heart as Matthew. Yes, he is wonderful. This is one of the movies I can never watch without crying. I love Anne Shirley and this movie in particular. Well cast, beautifully shot in glorious black and white, a total delight and wonderful family film as you've noted. This movie can be hard to find, at least here in the States, but I think it is one of RKO's best movies of the 1930's. This was a great review of a film I had almost forgotten about. I would love to see it's follow-up - Anne of Windy Poplars - but it is very difficult to find!